Dubai, United Arab Emirates, March 26, 2019: Digital technologies at the workplace are transforming the way companies create revenue and improve efficiencies via innovative strategies, products, processes and experiences. Companies in the Middle East are witnessing an explosive growth in mobile computing on enterprise radars everywhere. 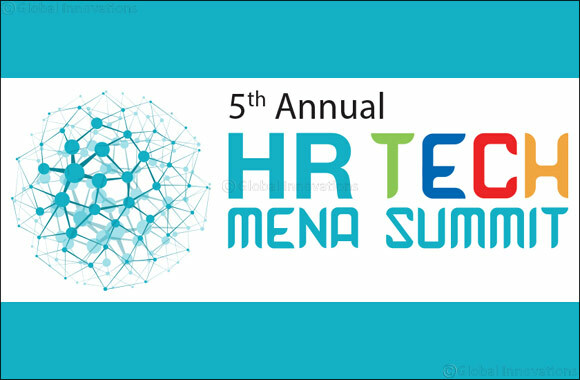 Zone, a leading IT services provider from Saudi Arabia and Emirates HR, an intuitive HR software solution specifically designed for the UAE and wider GCC will participate at the 5th Annual HR Tech MENA Summit, this year along with other HR technology solution providers from around the world. Top HR & IT professionals will come together under one roof to discuss latest technology trends, innovations and disruptive ideas that are changing the workplace. With the rise in HR Tech at the workplace, Chatbots are changing the way brands interact with their customers. “Since, communication is a very important aspect of HR, personalized Chatbots powered by artificial intelligence are beneficial in a number of processes in the employee lifecycle – right from the talent acquisition process to employee engagement. A survey by Oracle found that 80 percent of brands plan to use chatbots by 2020.” Hussein added. With an aim to achieve workplace excellence and pave the journey for digitization and transformation, the HR Tech MENA Summit is expected to bring over 250 HR & IT Leaders from across the MENA region that represent government, semi-government and private organizations. The by invite only event taking place on April 24 and 25 in Dubai, will focus on “Rewriting the future of HR” with leading industry experts sharing views, opinions and discussions on the adoption and deployment of technology within the HR space. Zone and Emirates HR, are gold sponsors for the event. The topics covered for the 2019 edition include building high performance culture, building the agile HR organization, next gen performance management, recruitment in the digital age, designing personalized and adaptive learning experience, building a future ready public sector in the region, innovations in workplace wellness, designing a seamless employee experience that rivals customer experience and also other advancements in traditional HR processes.